Hydrovac Applications – What is Hydrovac Excavation? The Badger Hydrovac system provides the safest form of non-destructive excavation. Our Hydrovac’s dig efficiently utilizing a highly pressurized water and a proprietary vacuum system to excavate or expose (daylighting) buried infrastructure. This process uses highly pressurized water to liquefy the soil creating a slurry type mixture. Simultaneously, this mixture is extracted by the powerful Badger vacuum system into a truck mounted debris tank which can be located up to 600’ away. Our system also has the ability to provide excavation service up to 50′ deep. Def·i·ni·tion: Hydrovac excavation is a precise, non-mechanical, non-destructive process that uses pressurized water and an industrial strength vacuum to simultaneously excavate and evacuate soil. As the pressurized water breaks up the soil it creates a slurry that is removed by a powerful vacuum into a debris tank. 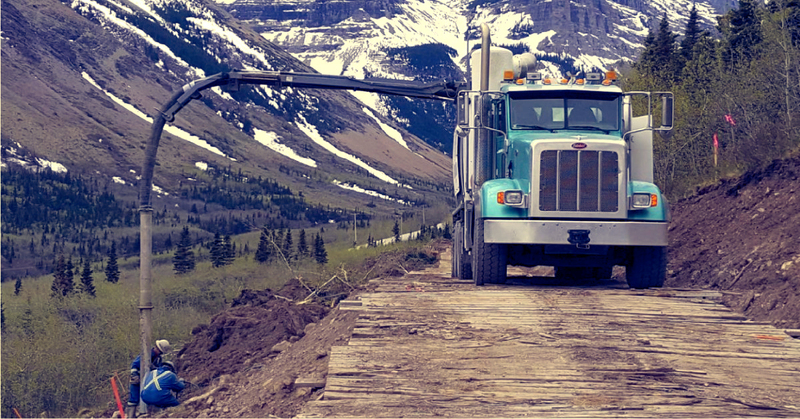 Badger Hydrovac’s can efficiently and precisely excavate in a variety of soil types and environmental conditions – Including: clay, hard-packed dirt, frozen soil conditions, and in remote areas or locations with limited access. Our Badger vacuum trucks have purpose specific on-board water heaters which are specifically engineered to provide an effective means of frozen terrain excavation.